Are anger and pain all you got in there? When people start on the project of inventorying their baggage they customarily find a whole lot of anger, pain and resentment and a liberal serving of fears. If they find any happiness, joy or contentment it doesn’t seem to take up much space and is easy to carry so it tends to go unnoticed. The expression baggage mostly comes from relationships issues, leftover emotions from the last relationship that gets unpacked and used in this relationship even when they are totally inappropriate. The term inventory comes mostly from twelve-step recovery literature. I have combined the two here because they have a whole lot of common elements. People who unpack their baggage find a whole lot of negative emotions, anger, fear, and resentments, that they need to inventory before they can move on. Any good twelve-stepper can tell you that the big book says that inventories are not only done in red ink. You need to give yourself credit for the good parts of yourself. That asset taking, the black ink part of the inventory, will come up in a later post. The big book then goes on to provide specific directions on how to do a fourth step inventory of your anger, fears, and resentments. I will not try to repeat that explanation here. If you are interested in the full discussion the A.A. big book titled simply enough “Alcoholics Anonymous,” is available inexpensively and most everywhere. While we have since developed over 300 different therapy schools, each with its own set of initials and applications to various disorders, the A.A. program appears to work no matter what problem it is applied to. The closest cousin to this A.A. program among the therapy schools is the CBT process and its cousins REBT and DBT. The short version here is that by one method or another, the way to get recovery is to get a head change. Your thinking needs to change for your feelings to change. The reason we get hurt in life is that our expectations for others are faulty. We need to reexamine our beliefs about why people do things. What we find is that other people’s behavior is rarely about us. It is usually about them. Sick people do sick things. If we try to hang onto that sickness, stay angry and resentful, we stay just as sick as they are. Maybe sicker, because as we know better we should do better. So we don’t need to hang on to all that anger and resentment. That does not mean we forget. Those experiences made us who we are, but we do stop ruminating on these old injuries “gnawing on the things that are eating us” as Casey Truffo called it. So do you have any negative emotions on your inventory list, some anger and fear and resentments, you are ready to let go of? Toss that stuff, lighten your load and let’s get moving on this journey towards a happy life. If you don’t have the strength to do the tossing, recruit some help, a counselor, sponsor or a friend can help you sort through that pain and become willing to let go of the past. 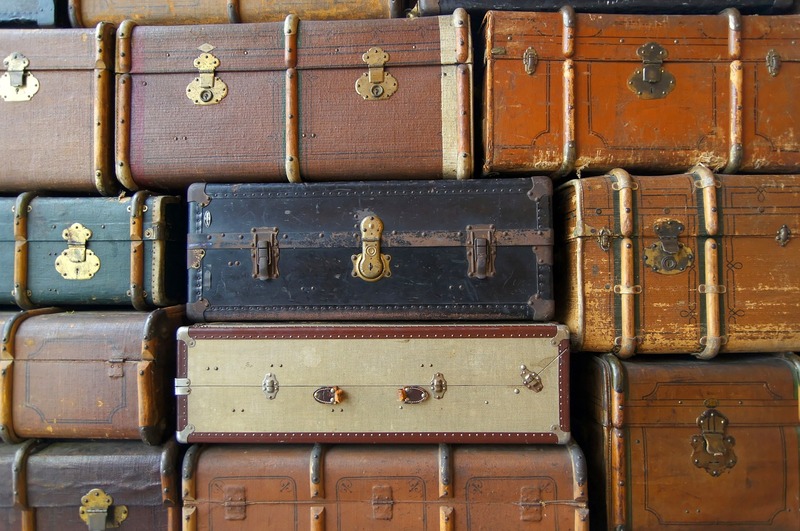 You need to jettison the past; it is heavy to carry and takes up a lot of room in the baggage. If you intend to get to that new happy life you had better plan to travel light. The joy and the happiness, hold onto that, it never seems to take up any room in the luggage and the more of it, you spread around, the more you seem to have. This lightening the load, getting rid of the garbage that is holding us back, some people do it quickly, but most of us need to do it over and over again. Keep coming back to it whenever you need to. If you get going on this journey towards happiness you will quickly find that you just don’t have room for all that baggage. The closer you get towards your happy life goal the less value you will find in that junk and the easier it will be to get rid of it. So let’s get moving. One last thing to consider. Who will you be taking along with you on this quest to find your happy life? This entry was posted in Self-Improvement and tagged Alcoholics Anonymous, co-occurring disorders, happy life, Personal Inventory by David Joel Miller. Bookmark the permalink. I think I hear a little spring in your step.